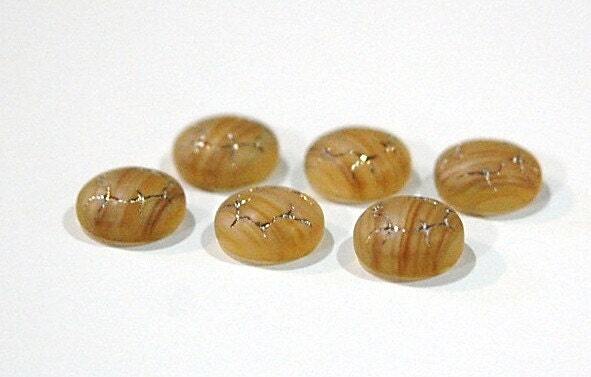 These are vintage glass cabochons that are done in a topaz and white striped color. They have an etched design on the top detailed in gold. The back is flat and the top has a low dome. They measure 9mm and you will receive 6 pieces. Very pretty! 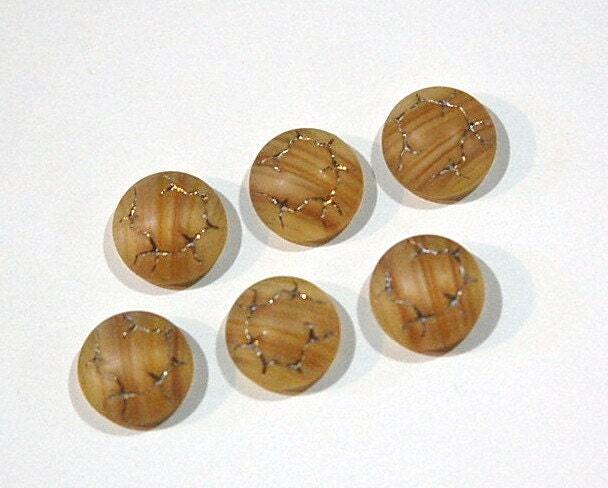 Looking forward to using them in my bead embroidery!